If you’ve ever tried to add a custom day two operation to a multi-machine blueprint, you must have hit the same dead end as I did. There’s simply no object type to tie the action to. As I’m sure you know if you’re into day two operations, the object type a typical day two operation is a VC:VirtualMachine. But that clearly wouldn’t work for a multi-machine deployment, since they act on a set of machines, rather than a single one. In this article, I’m describing a simple technique to solve this problem and provide a framework for day two operations on multi-machine deployments. If you are just interested in getting it to work and don’t have time to read about the design, just skip ahead to “Putting it all together” below! A day two operation is simply an action that you can take on an existing resource, such as a running virtual machine. For a VM, they typically include power on, power off, reconfigure, destroy, etc. All of the basic and essential day two operations for standard objects, such as VMs and multi-machine deployments come out of the box with vRealize Automation. But sometimes you want to add your own operations. Suppose, for example, that your organization uses some proprietary backup solution and you want to allow users to request a backup from the vRealize Automation UI. You could do this by adding a custom day two operation. The core of a custom day two operation is just a vRealize Orchestrator workflow. As a workflow designer, you have a lot of freedom when it comes to building a day two operation. There’s really just one rule you have to follow: The workflow needs to accept a parameter that represents the object is was executed on. So if you’re building a workflow that’s used as a day two operation on virtual machines, your workflow must have a parameter of the type VC:VirtualMachine. The problem is simply this: There is no type in vRealize Orchestrator that represents multi-machine deployments. So it’s impossible to build a workflow that takes the right kind of input parameter, and since this is a strict requirement for day two operation workflows, you’re going to hit a dead end at that point. Why that is has to do with the design of vRealize Operations. The concept of a multi-machine deployment lives in the IaaS portion of the code, whereas the custom day two operations live in the core vRealize Automation code and the mapping between them isn’t exposed to the user. The good news is that this issue is fixed with the blueprint redesign in vRealize Automation 7.0. But what about us who still live in the 6.x world? As of vRealize Automation 6.1, something called resource mappings where introduced. These are simply vRealize Orchestrator workflows or actions that converts from a native vRealize Automation type to a type that vRealize Orchestrator can handle. As you may expect, there are a handful of these included by default, and not surprisingly, the one that converts from the vRealize Automation representation of a virtual machine to a VC:VirtualMachine is one of the more prominent ones. When you write a resource conversion workflow or action, you’re getting all the properties of the resource in a Properties object from vRealize Automation. It is then your responsibility to write the code that builds an inventory object from these values. But what about a multi-machine deployment? Which inventory object type do we map that one to? It turns out that the IaaS representation of a machine is a perfect candidate for this. 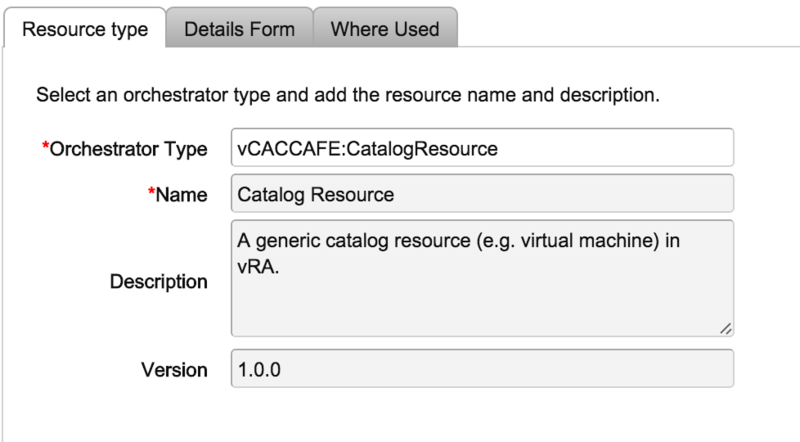 This object type, called VCAC:VirtualMachine happens to be able to represent multi-machine deployments as well. What’s even better is that there’s already an API-function for getting hold of VCAC:VirtualMachine and we have all the data we need to do it. What’s going on here? Well, first we get hold of our IaaS host. Next we build an identifier we’re going to use to search for a virtual machine in IaaS. Then we run the query and finally we return the corresponding inventory object. That’s really all there’s to it in terms of code. You can implement this either as a workflow or an action in vRealize Orchestrator. I chose to do it as an action, since it runs slightly faster. Download and install the package. See the end of this article for a download link! Select the “Design” perspective and go to the configurations tab. 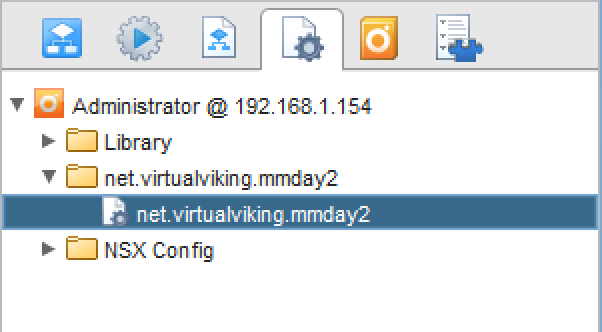 Edit the “net.virtualviking.mmday2” configuration bundle. Set the vCACHost property to point to your IaaS service (must be registered first). In vRealize Automation, log in as a tenant admin and go to Advanced Services->Custom Resources. Create a new custom resource. (Optional) enter a description and version. Leave the defaults values on the Details Form page. Leave the defaults on the Where Used form. Go to Advanced Services->Resource Mappings. Create a new Resource Mapping. Select “Mapping Script action” and navigate to “net.virtualviking.mmday2” and “convertMultimachine”. You should now be able to create day two operations on multi-machine deployments. To test it, you can use the “Print Multimachine Details” workflow provided with the package. Please reach out to me in the comments if you have questions! The vRealize Orchestrator package can be downloaded from here.